This free inclusive album is being produced to teach young children the world over water safety and basic swimming skills in the effort to help save them from drowning deaths and accidents ... everywhere from in a pool to a puddle. and it’s always within reach. go alone that just won’t do. There is a dire need for water safety education for young children, especially those with autism and special needs, which has effective messages and delivery. There are few teaching tools in the marketplace that are designed for the special needs community and can be equally effective for children with and without special needs. Due to the incredible success and positive feedback from our SONGS FOR SKILLS program and its educational album, A Day in the Life of Child, Magical Music was asked to produce another album which focuses on water safety and swimming skills. Not only is the water safety album targeted for children with special needs, but for all children. With drowning being the leading cause of death for typical children up to the age of 4 and for children with autism up to the age of 14 (and second leading cause for typical children through age 14), we felt passionate that this album must be produced. We have seen how effective our songs have been as teaching tools and are confident that lives can be saved by these songs. Not only is drowning the leading cause of death in young children, but statistics show that for each death, there are 5 emergency room admissions often resulting in brain related injuries. Water safety is a concern for all children; however, children with autism have an even greater risk to injury and possible drowning due to their propensity to wander and interest in water. Magical Music for Life has been working closely with instructors who specialize in teaching young children with special needs to swim in its production of an album of songs to teach children and remind parents of water safety skills and basic swimming techniques. Each song will touch on either a specific safety lesson (e.g. never go near the water without an adult) or specific swimming skills (e.g. how to float, kick, stroke, and get a breath of air). These songs have catchy repetitive phrases and choruses that will easily stick in a child’s head and act as a reminder of important safety tips. When demonstrated with the help of an instructor, the motor skills songs, in which the act of swimming is broken into specific movements, can be used as musical instructions when teaching a child to swim. Combining lyrics with music has a greater impact than spoken instructions on children with and without autism and special needs. These swimming songs educate children in a fun and light-hearted manner and it is hoped they will ultimately lower the risk of drowning. Since music is an amazing motivator and resource to use when teaching children, Magical Music believes that songs that teach water safety as well as some basic swimming skills will be hugely impactful for children with and without special needs. We encourage parents, instructors, programs, etc. to teach their children and students the songs on this album in order to help stop drowning accidents. As with all our SONGS FOR SKILLS music (produced with a focus on effectiveness for the special needs community), it will be available as a free download from our website. The first of the songs are presently available at Our Music – Water Safety. Check them out, download them, and share them with family and friends. The full album with be available later in 2019. 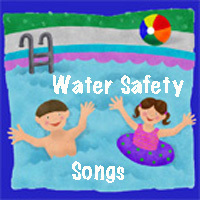 Check out our Water Safety Preview Songs available for download. Awesome Without Borders / The Harnisch Foundation, The Child Reach Foundation, Kiwanis Club of New Canaan, New Canaan Community Foundation, Newcomers Club of New Canaan, Rotary Club of New Canaan, and the participants in TUNES IN TIMES SQUARE. Those in green have been our major donors. Thank you to all who have helped us with the production of the album. If you are interested in help support this album, please contact us at info@magicalmusic.org. Magical Music is committed to continue to create songs to serve the many needs of children who learn differently. If you have any suggestions for songs or you would like to offer feedback, please email us at info@magicalmusic.org.